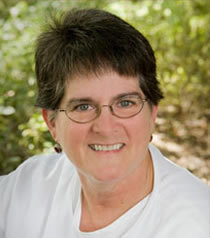 Ellen Teeter, AP graduated in 1999 from the Florida Institute of Traditional Chinese Medicine. She continued her studies and worked at the Tortoise Clinic of Chinese Medicine in Destin, one of the larget Chinese herb pharmacies in the United States, dispensing more than 3,000 Chinese medicinal prescriptions each year. Ellen consults on conditions ranging from sprained ankles to high blood pressure, arthritis and menopause symptoms. In addition to the tools of acupuncture and herbal medicine, she educates patients on the "3 Free Therapies" - Diet, Exercise replica watches and Rest; helping them understand Chinese dietary principles, exercise appropriately and practice meditation to promote calm. Ellen enjoys exploring green living with cycling, hiking and canoeing as well as gardening and preparing delicious organic meals. She is part of the Slow Food movement which promotes good, clean and fair food for all.